Fulham W Domestic, Commercial Removals & Packing | Quality Property Care Ltd. Dial this telephone number 020 3746 4287 and contact to our specialists. Ask for more details about our professional removal services in London. We will respond to you as soon as possible and ensure that you will arrange your moving out faultlessly fast! Rely on us and get the best removal assistance in the town! We can support you with both: part of your tasks, or the entire jobs: administrative, packing, transportation from the first day you contact us. With huge practical experience in the industry our removals company Fulham W has succeeded to satisfy more than 15 000 customers up to now. Quality Property Care Ltd. receive 95% positive feedback for our removals services. You can become our next happy removals customer. Please, note that regular customers receive promotional offers. And if you purchase more than one of our services, you will be offered with a discount, too. Do not doubt to ask for extra removals services: hoisting of large things through windows, empty lofts, specialized piano moves, garages and basements. Get us your deadline day to move out and mention your requirements, so we can arrange expert removals in a most suitable for you way! 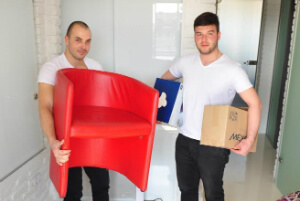 Established in London in 2005, the company started offering house removals, office removals and any removals in London, and today offers a full package of services to assist consumers and businesses move their furniture and personal stuff from any place in London, The uk. Quality Property Care Ltd. also offers short and long-term storage renting to its clients in many storage places throughout London. All employees are vetted and very well trained. The services are quick and fully guaranteed, so the customers’ items are protected from the dismantling to the re-assembly at the new place. This is a service suitable for the loading, transpiration and unloading of smaller sized items and boxes. You rent a man with a van and you yourself package and unload the things, we only deliver the vehicle and a driver who can help with lighter loads. This is also ideal for Ebay and IKEA pickups or for deliveries and package pickups all around the Greater London area. This is a totally guaranteed service, sending out only 1 man with a van, it’s a versatile for booking, good for last minute jobs. Our specialists are local and well trained, with vans equipped with all of the necessary things to make your move a lot easier, including a ramp. In general we can move pretty much everything from inside a property, from beds, to boxes, to kitchen appliances like dining sets, sofas, washers, TV’s, shelving, queen sized mattresses, double beds, three wing cupboards and dressers, fridges, bikes, pianos and quite a lot more. As long as the things are very easy to access we can move them at any place you want, simply contact us. Along with that we are also providing you a packaging service, we come and package everything for you. If you like to do it yourself but lack the boxes and materials, contact us and we can drop some off at your location. In the standard service are included the pickup and delivery of loads from one place to another. We can then move the items inside the new place or simply unload them and leave you to deal with it yourself. As a completely certified removals company we can ensure safe, hassle free removals each time you give us a phone call. Dial 020 3746 4287 and book whenever you need us. We have a customer care desk available to all clients free of charge, simply call and ask any removals related questions and receive a concise answer.